I'm originally from Utah and moved to Phoenix in 2014. I got into fitness from working at the gym and always feel good after working out. I enjoy seeing other people get excited about joining the club. I also like helping people realize their goals and see them become long time members. I have always been active and playing sports, so working at the gym is perfect! It’s neat to see the confidence boost you get after working out. I enjoy helping others get the results they want, reach their goals, and achieve the same feeling! I am a native of Arizona and have a grown daughter and son. I love to hike, travel, bake/cook healthy, try new workouts and I am involved in two non profit organizations. My fitness journey began in September 2009 when I almost had a stroke. After that, I committed myself to a healthy lifestyle and have lost over 45 lbs. My passion for fitness stems from that along with the fact that heart disease and diabetes has taken many of my family members. 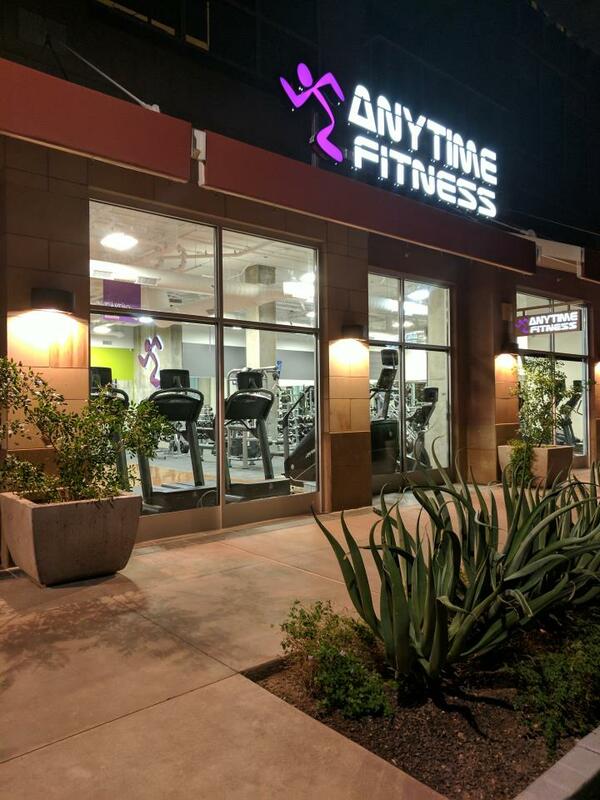 I have been with the Anytime Fitness family for 2 years. My goal is to help others see the benefits of self-care through fitness and how it can change their lives for the better. I believe that it's important to share our gifts and smiles, so I would like to see our members leave the gym daily with a confident smile. I competed in track and field from age 10 through the end of college. I've always been a huge believer that proper fitness and nutrition is important for everyone, no matter what stage of life you are in. Whether you are a competitive athlete or just someone who wants to stay healthy, there is an opportunity for you to reach your goals. I've been active my whole life and hope to help others live a healthy lifestyle too. Hi, my name is Dana Benner. I am an AFAA (Athletic & Fitness Assn. of America) certified Group Exercise Instructor and Personal Trainer. I am also certified with Les Mills BodyPump, Power Pilates, and AEA (Aquatic Exercise Assn.). In addition I also hold licenses with Zumba and several Zumba specialty formats. Teaching group exercise is my passion as I have taught for several years in several cities and states. I am new to AZ and would love to have you come by, introduce yourself, and take one of my classes where you will be challenged while having fun! Finding fitness is finding a start to a happier life. Through the journey and education of finding a healthier you, you will learn discipline and control over your physique as well as attaining a stronger mental fortitude. These are concepts and practices I have dedicated my life to living and to teaching. My name is Hanna, and I am a NASM certified personal trainer finishing a bachelor’s degree in Exercise Science from Arizona State University. Through many years in the fitness industry in both a professional and personal setting I have attained a wide array of fitness disciplines and ideologies to help you reach your goals. Additionally, through my experience working within a Physical Therapy Clinic I have experience in training people who’re starting their journeys at various levels of fitness. Therefore, whatever level of fitness you find yourself at we can make your goals a reality.